As the great reviews and killer box office numbers for Mission: Impossible Fallout continue to accrue around the world, China is still waiting for the film... and today fans there got some great news! 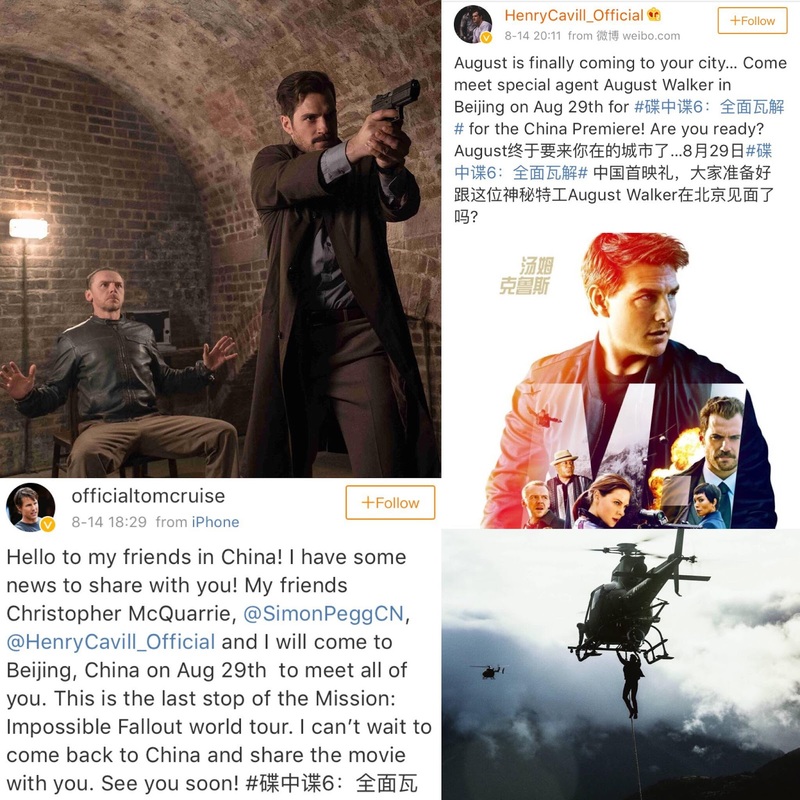 Henry and Tom Cruise confirm they are headed to Beijing for the last premiere of the film on August 29th. They will be joined by director Chris McQuarrie and Simon Pegg. Look for more details as we get them. In the meantime, catch up on everything else from the press tour: Paris // London // Seoul // Tokyo // DC -- and ALL of Henry's interviews 1/2. A big thank you to @koitsai and @mao_meowz for the heads up. Keep up the momentum...the movies was fantastic!! Do you know if the Cast of MI6 will stop in Italy before going to China?